Discussing Olympic champ Wiebe defeating three-time world champ Gray and Mattsson's return. Also taking a look at Fix making his third Junior World team and much more! Erica WIEBE (CAN), the 2016 Olympic champion defeated three-time world champion Adeline GRAY (USA), 6-5, seizing the 76kg Spanish Grand Prix title. Though these two were in the same bracket at the first Ranking Series event of the year, the Klippan Lady Open, they did not meet as Wiebe was “knocked off” by reigning world champion Yasemin ADAR (TUR) in the opening round. Gray went on to claim the gold medal, defeating Adar, 9-6. Assuming 2018 European champion Adar makes Turkey’s world squad, with its combined five world and Olympic titles from Adar, Gray, and Wiebe, 76kg may be the deepest weight class of the tournament. Sofia MATTSSON (SWE), who gave birth in November made her international return after an 18-month layoff, winning the 55kg Spanish Grand Prix gold medal. Since grabbing the bronze medal at the Rio Olympic Games, Mattsson's only competition was the 2017 Indian Pro League. 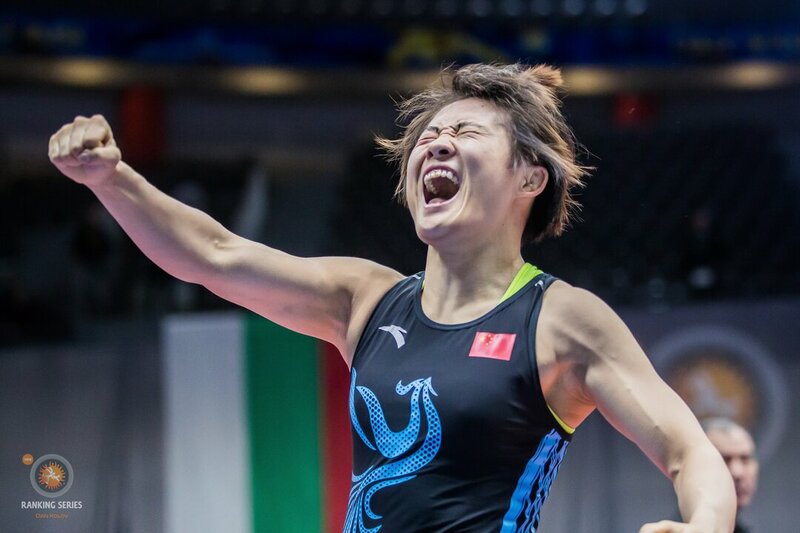 The seven-time world and Olympic medalist made her return this weekend and capped off her gold medal run by beating Marina SEDNEVA (KAZ), grabbing her first gold medal since the 2016 European Championships. Daton FIX (USA), the reigning junior world champion stormed through Brandon COURTNEY (USA) in two straight matches of the special wrestle-off to lock up his third consecutive Junior World team spot. The I.G. Sports Complex in New Delhi, India is set to host the 2018 Junior Asian Championships starting on July 17. This is the second junior continental championship (Junior African Championships) but is the first of three that will take place over the next month. The Junior European Championships begin July 30 and will be followed by the Junior Pan-American Championships which take place August 17-19. Istanbul, Turkey is set to host the 46th Annual Yasar Dogu International on July 27-29. On June 8, United World Wrestling announced that the tournament has been named a Ranking Series event in men’s freestyle wrestling after the South African Open was canceled due to a lack of early sign-ups. 3. Lots of great training and fun at the 2018 More Than Medals training camp here in Zagreb, Croatia 🇭🇷. 5. We’re 98 days out from the #Budapest2018 World Championships. We highlight today with this memorable throw from reigning 98kg world champion, Artur ALEKSANYAN 🇦🇲. We’re 98 days out from the #Budapest2018 World Championships. We highlight today with this memorable throw from reigning 98kg world champion, Artur ALEKSANYAN 🇦🇲.